Myanmar beach holidays take you to the hidden gem in Southeast Asia with full of exotic experiences to taste. 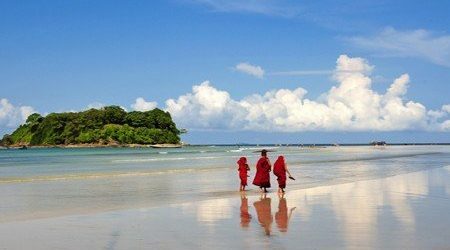 Perhaps many people think of Myanmar as a destination of ancient golden pagodas and the heat but not many know that the country also possesses many beautiful untouched beaches for a wonderful beach vacation to soak up the turquoise water and sunbathe on the pristine white sand beach. Possessing 2000 km of coastline including the gorgeous Myeik Archipelago, Myanmar beach holidays are truly where you can escape from the crown. Additionally, most of the best beaches in Myanmar are located not very far away from Yangon and are accessible within an hour or so by road. Gearing up your suitcase and ready to enjoy a breathtaking beach vacation in Myanmar with us to stroll along the idyllic seashore in the seven km long sandy beach of Ngapali and join in a stunning dive into the bottom of the ocean in Myeik Archipelago to observe the colorful fish and impressive coral reefs. From Chaung Tha we take you to the fishing villages in Pokala Island to meet and learn about the daily life of fishermen and then savor the catch of the day seafood in a local restaurant. Ultimately, reward yourself after an exciting day to behold the heart-touched beauty sunset moment, a fabulous beach holiday in Myanmar is waiting for you to discover! 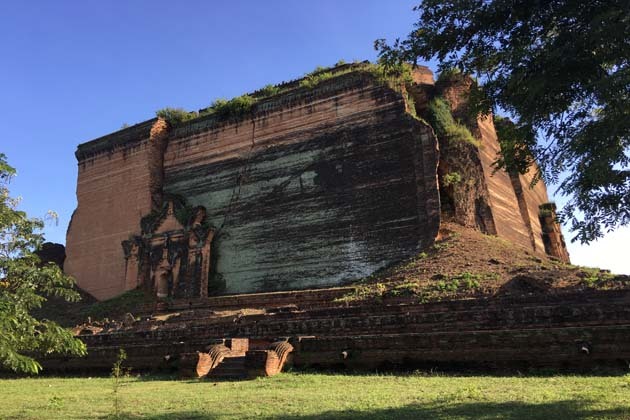 Go Myanmar Tours offers you various exciting Myanmar beach holiday packages in the list of Myanmar Holiday Packages in 2019 for visitors to choose from. Please select your ideal package and let us create your great time on your beach holiday in Myanmar. If you do not find an appropriate itinerary, please contact us to create your own Myanmar beach holiday that suite your exact taste. 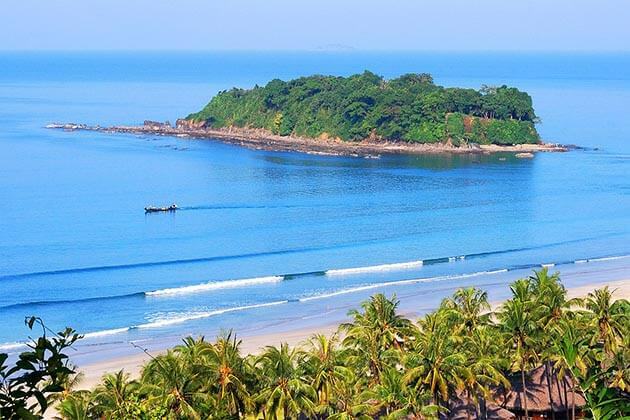 With 7 km white sandy shoreline, beautiful palm tree ranges, and, blue turquoise water, Ngapali is one of the most incredibly beautiful beaches in Asia making it as the No.1 destination for Myanmar beach holidays. Over the past few years, Ngapali has become one of the main tourist attractions in Myanmar with the opening of modern resorts including bars, spas, and high-quality restaurants. However, Ngapali still remains a fishing village offers you a peaceful space to discover in Myanmar beach vacations. 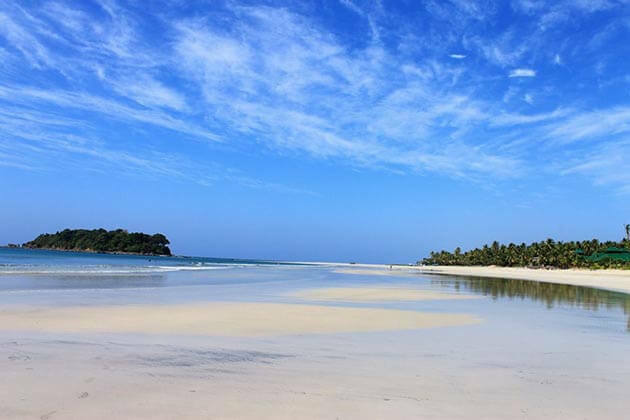 Ngwe Saung or Silver Beach, located relatively closer to Yangon, possesses the poetic beauty as the Ngapali beach for visitors to visit in Myanmar beach tours. However, its area has not witnessed the massive tourists like Ngapali and thus deliver you a quiet place to discover in Myanmar beach holidays. If you wake up early in the morning, you will have a chance to see the bustling moment when fishermen coming back with full of fish in their deck. 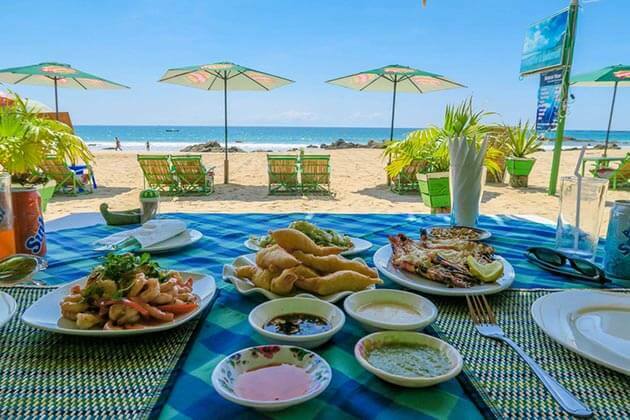 Although it is not as beautiful as Ngapali or Ngwe Saung, Chaung Tha is very popular for the middle-class family in Myanmar to travel for a Myanmar beach tour. 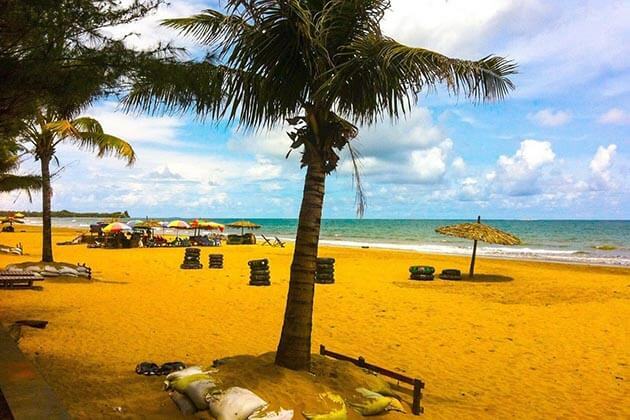 Likewise, the golden sand, as well as the nearby fishing village, will offer tourists interesting experience during Myanmar beach holidays. Additionally, a boat trip or a biking ride is worth to do. Owning 4.5 meters long with golden sand with natural beauty and untouched scenery, Kanthaya is truly where to go for Myanmar beach holidays to escape from the busy life. It delivers tourists a quiet space to refresh and listen to the birds singing in the serene and pure ambiance. Among the best beaches of Myanmar, Kanthaya is where you can get an insight into the country’s local coastal life in a Myanmar beach tour. With 800 poetic islands, a Myanmar beach tour Myeik Archipelago is truly a dream place for snorkelers and divers to observe the diversity of marine life. Likewise, it will give you the most memorable experience in Myanmar beach holidays. 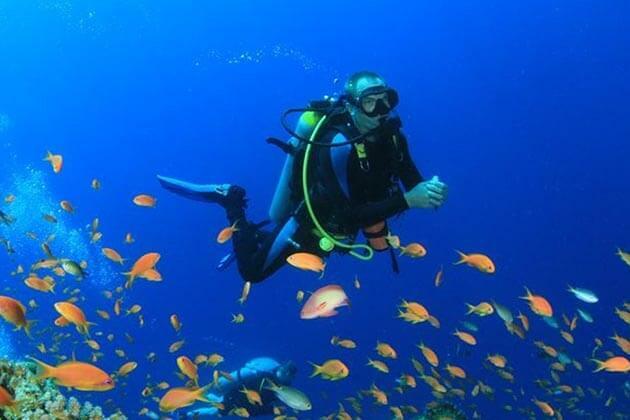 If you are planning for awesome diving in the extraordinary archipelago, Western Rocky and Black Rock are two ideal diving site that you should never miss in a Myanmar bach tour to get an impressive experience. If Western Rocky offers you with splendors famous shark species such as guitarfish, frogfish, harlequin shrimp, Black Rock will bewitch you with the stunning sea urchins, colorful fish including tuna, whale sharks, rays, mackerel, and attractive coral reefs. Additionally, Shark Cave, Tower Rock, North Twin, and some secret spots are amazing dive sites you should consider if you spend several days on Myeik in your Myanmar beach vacation. 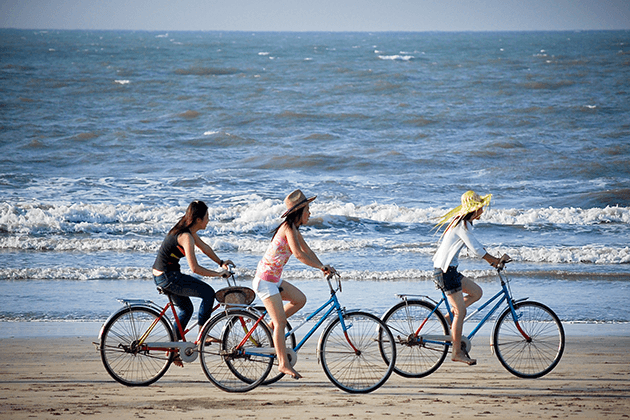 Cycling around the poetic coastline and passing through the jungle is the must-to-to thing for you on your beach holiday in Myanmar. It is fun and brings you a closer look into the surrounding area and offer you a chance to meet and get to know more about the culture of the local people who are always delighted to see tourists. It is easy to rent a bike in your hotel and cycle through the sandy coastline, behold the peaceful ambiance, smell the fresh cool air, and listen to the harmony of light wind swaying around the palm tree ranges. All of these amazing experiences ensure to bring you unrivaled memories in Myanmar beach vacations. The stunning turquoise water, peaceful atmosphere, and the beautiful white sand are not everything enchant your soul in Myanmar beach holidays. 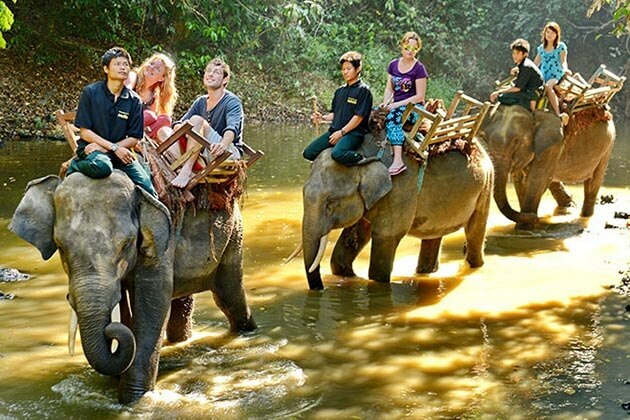 In order to fulfill your interest, an expedition to the jungle where you can see and feed the elephant is one of the amazing things that we deliver to you on your beach vacation in Myanmar. Ngapali and Ngwe Saung are two beaches in Myanmar that you could head to this wonderful experience. Burmese cuisine is always an impressive highlight for anyone who is on the journey to discover the country especially for those tourists who are on their beach holiday in Myanmar. There is not more perfect than reward yourself after a long day sightseeing in a local restaurant to enjoy the catch of the day seafood and chat about the way they prepare the food. Just imagine how wonderful is it? 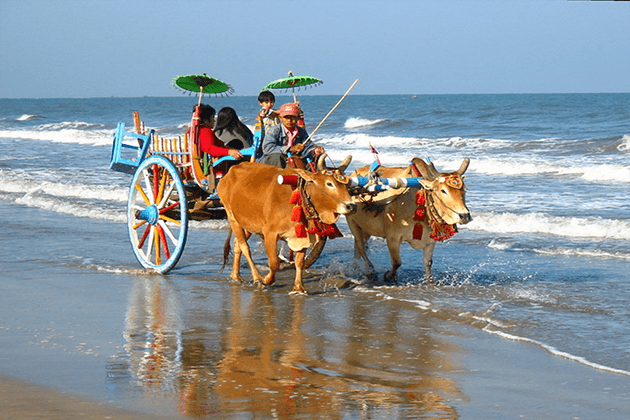 Once traveling to Myanmar, you may be surprised that an ox cart is relatively popular means to carry things and travel throughout the country's rural, and of course, your beach tour in Myanmar is not an exception. 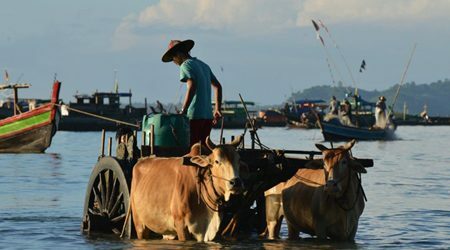 Therefore, a drive with the ox in Myanmar beach holiday will make your trip special than anything you have experienced.